Arriving in Saint-Pierre is like arriving in a mini France. A band decked out in Breton stripes including an accordion player serenaded us into one of two quays, both of which are about 20 minutes by foot from the town. Some lines choose to tender passengers downtown and bus tours leave directly from the ships. A recommended first stop is for croissants and coffee at one of the cafes. We favoured Cyber Poly Gone Home which is just up from the tourist office. Try restaurants such as L’Atelier Gourmand but don’t forget your euros. This 26km2 island can easily be visited in a call by hiring a taxi or taking a tour of the main sights. The residents with Basque, Breton, Normand and Arcadian roots date back to 1536. Fishing has played a major role in the French territory’s history and a short ferry ride to the Ile aux Marins, a thriving fishing village with 684 inhabitants in 1892, got my vote. Guide Jean-Pierre told us about the heyday of the Grand Bank and inshore fisheries as he guided us through the historical buildings, some of which have been restored. The last permanent residents left in 1965. 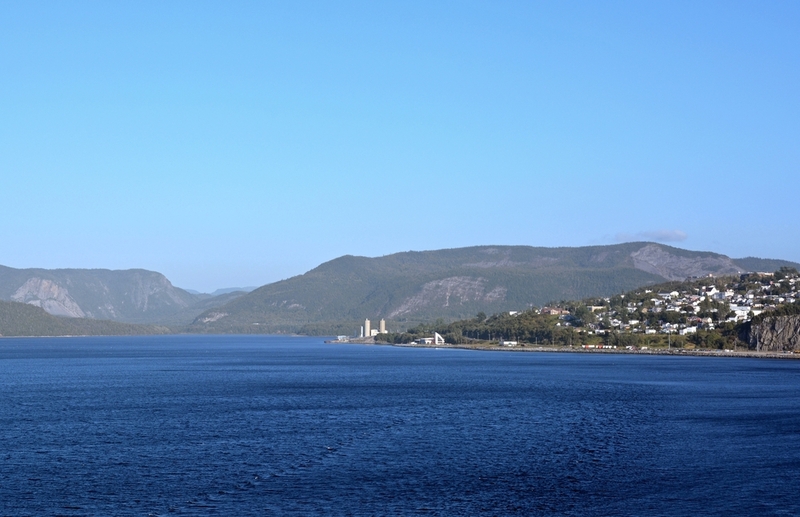 Corner Brook has much to see in its own right but is also the stepping off point for the UNESCO world heritage site Gros Morne National Park. If you are going to take a tour then visiting the Tablelands is the one for there are few places on earth where the geology is such that you can set foot on the earth’s mantle. A Parks Canada interpretation walk introduces 500-year old rock formations, local flora including the pitcher plant, and serpentine which is used in Inuit carvings. For those who don’t fancy a bus trip there is a tourist information kiosk and covered market with local crafts on the quayside. 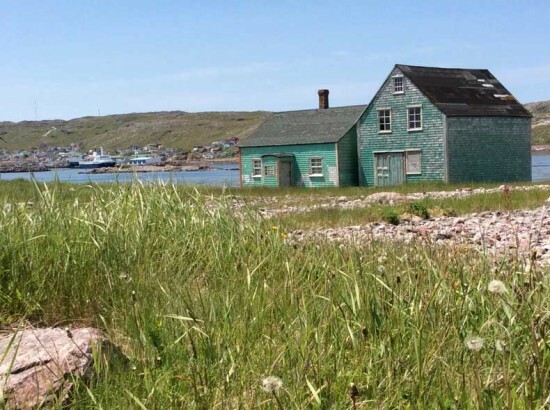 You will be greeted with traditional Newfoundland music as well as a dog or two and be handed complimentary maps. There’s also a free shuttle to City Hall. Here is the Corner Brook Museum and Archives with stories and photos of those that came and settled as well as exhibits on the pulp and paper industry and the aboriginal peoples. Captain Cook was the first to map the Bay of Islands in 1767 and the trail makes for a very popular shore excursion. If you want to do something a bit more adventurous head for the nearby Marble Mountain ski resort where nine ziplines traversing the Steady Brook Falls await. A two-hour Humber River Cruise is a gentle way of learning about the geology, history and native folklore. Here also is a great restaurant, Madison’s at Marble Inn, where I had my first moose salami and seal sausage. 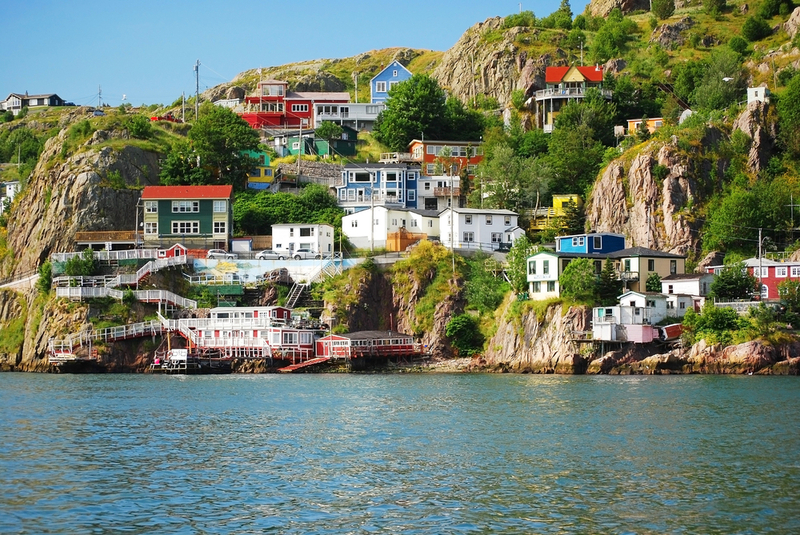 St John’s is the oldest city in North America and the most easterly. Both piers are an easy walk into town with plenty to see in the local vicinity including The Rooms art gallery and museum. The cafe has fantastic views out over the city and harbour with homemade, organic, local fayre to tempt even the most disciplined. It’s a short bus ride to Signal Hill, where Marconi received the first transatlantic wireless signal from Cornwall. Nearby is the Johnson GEO Centre, a geological interpretation centre with an atmospheric exhibition on the Titanic. With the Mayor Dennis O’Keefe an exponent of cruise, the city is geared up to welcome passengers whether it be the dockside welcome, the firing of the noon-day cannon on Signal Hill or the harbour symphony of ships’ horns. St John’s Ambassadors are on hand throughout the town to answer questions. When we were in town icebergs were tracking their way south and so the obvious choice was a boat trip to get up close and personal, well not too close as they can turn turtle with little notice. Another option is to go diving with whales or guided kayak tours. Rick Stanley of Ocean Quest Adventures is the expert for all manner of waterborne tours. 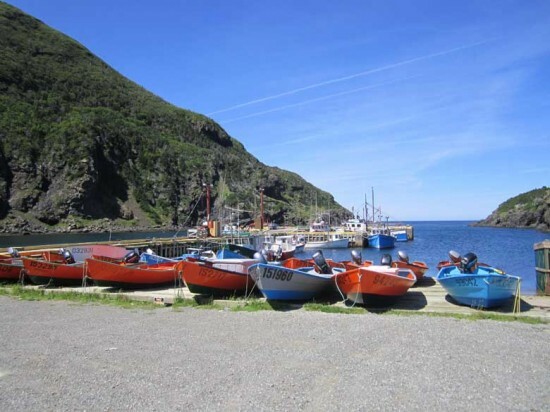 Quidi Vidi Village, a fishing hamlet, is also within easy walking distance and home to restored 18th century Mallard Cottage where the menu changes daily. On offer are local wild game and seafood including dishes such as moose terrine with pickles and fish feed!